Shadow is light in french, Umbra lux est in latin if my memory is good!) Carved on a french limestone. That was my first ever letter cutting. 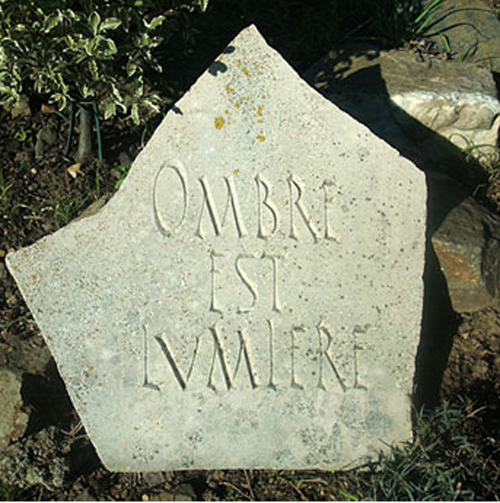 The character drawn here is a Rustica, amended to fit the stone. Still one of my favourite.